I also separate out landscape-style stamps (not necessarily literal landscapes – abstract colour blocks also often work just as well). I use stamp collecting stock cards – of which I have inadvertently acquired many – to keep stamps of similar colour configuration together. The exact tones of blue/green/etc vary from stamp to stamp, so it’s handy to have them available side by side to pick out just the right one for whichever composition I happen to be working on. 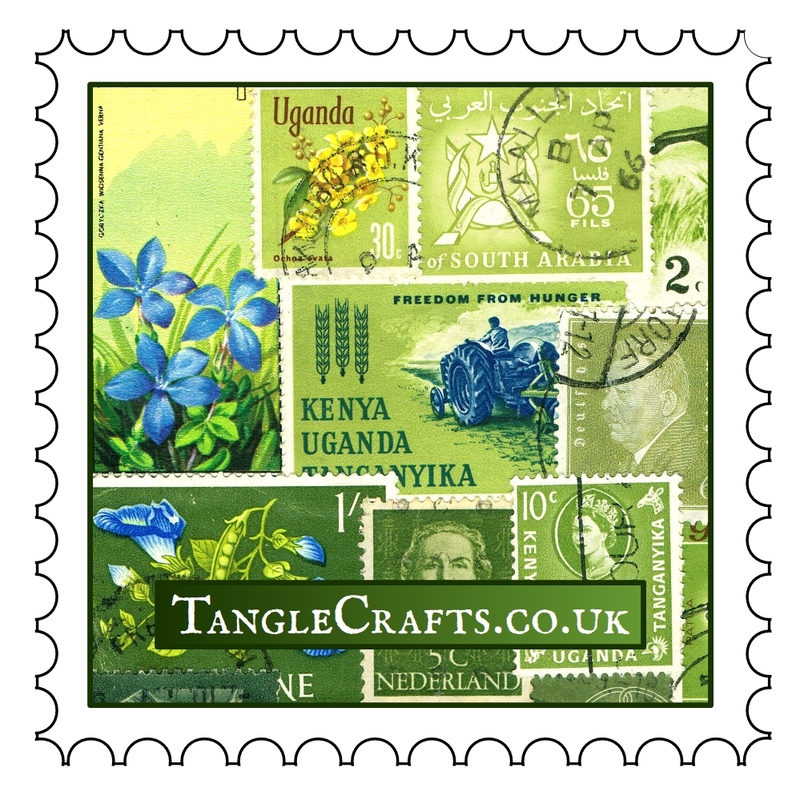 Keep an eye on the TangleStore over the next few weeks – it’s quite likely some of the stamps above will be glued into submission very soon! Previous Previous post: All fingers & stamps! Next Next post: Which are the weeds?